Katherine of Aragon, Henry VIIIs first bride, has become an icon: the betrayed wife, the revered Queen, the devoted mother, a woman callously cast aside by a selfish husband besotted by his strumpet of a mistress. 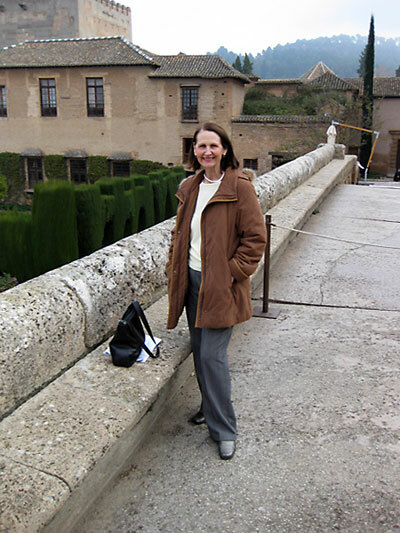 Her sister, Juana of Castile, wife of Philip of Burgundy and mother of the Holy Roman Emperor Charles V, the most powerful man in Renaissance Europe, is still more of a legend. She is Juana the Mad, the wife so passionately in love with her husband that she could not bear to be parted from him even by death, keeping his coffin by her side for year upon year. They were Sister Queens the accomplished daughters of Ferdinand and Isabella, the founders of a unified Spain. While their royal birth conferred entry into a world of privilege and plenty, it came at a devastating personal price. Since monarchs played their parts on an international stage, it was inevitable that the formidable Ferdinand and Isabella would send their children abroad as dynastic pawns. Katherine and Juana needed all their courage, resolve and inner strength as they confronted the harsh realities of life in a male-dominated world. A gripping tale of love, sacrifice, the demands of duty and the conflict between ambition and loyalty at a time when even royal women had to fight for their positions in society Julia Foxs vibrant new biography teems with life. 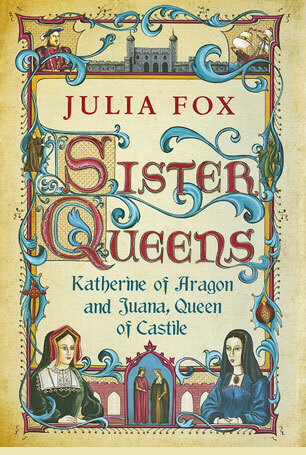 By placing Katherine and Juana squarely back into their family and Spanish contexts, she takes two remarkable women out of the shadows of the powerful men around them, showing us who they really were, how they coped with their setbacks and successes, how they gained the values by which they lived and died. Linked not only by blood but by cruel experience, their dual stories enrich our understanding of them both, casting a searchlight onto the turbulent age in which they lived. 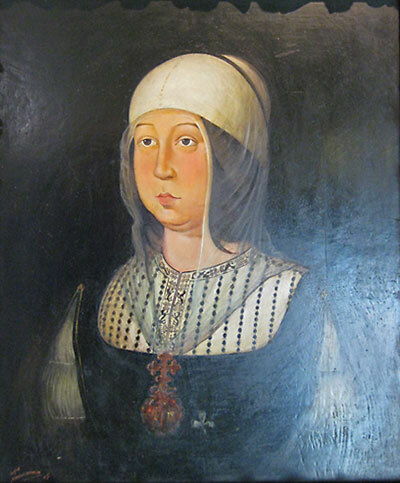 Isabella of Castile, Juana's and Katherine's mother. 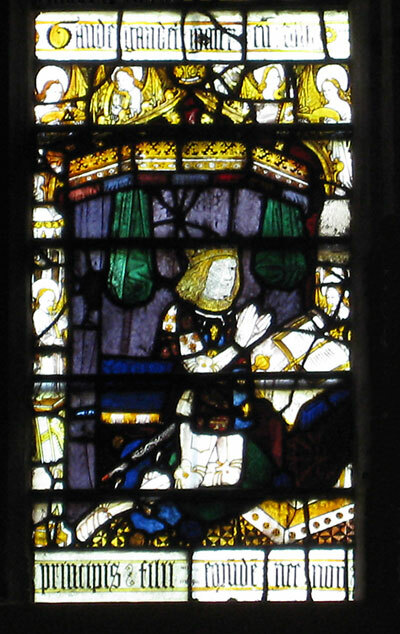 Prince Arthur, Katherine's first husband, from a stained glass window at Malvern Priory, Worcestershire. 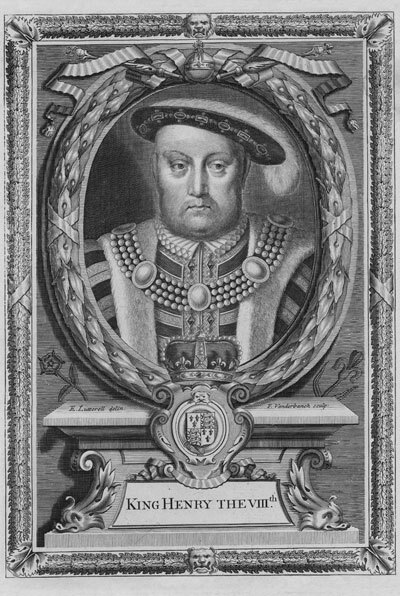 Henry VIII, Katherine's second husband. 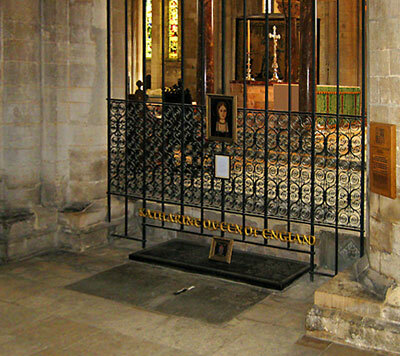 Katherine of Aragon's tomb, Peterborough Cathedral.